Can you please tell me if i can claim all 60 PDU in 1 year instead of 3 years and earn more PDU? My PMI membership expires this sep end. Will I be still able to claim the PDU which I will be earning ? or renewal is required for claiming PDU? You can read Headfirst, Rita, and PMBOK. 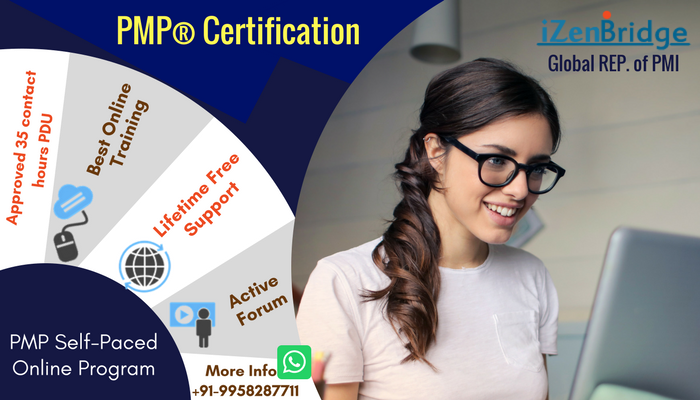 Recently I had cleared PMP and I need your directions as to how I can maintain the credential and how to earn the 60 PDU in 3 year cycle. I have passed my PMP and must say the test was a challenge! Special thanks to Saket and team for their wonderful discussions....webinars and support. Looking forward now to the next step. In conducting procurements when do you specifically use Analytical techniques over proposal evaluation techniques ? Can project scope statement be an input to perform quantitative risk analysis ? if yes / no ? what is the reason behind it? D is marked with same explanation as sentence in D....so not sure how D is justified? based on the data in chart attached what is the lowest cost of crashing the project to save 4 weeks? $120,000. AC = $65,000. The SPI = 1.2. What is the CPI of this project? Can some one explain why we choose to do - resource levelling is done first and then resource smoothing? can you explain with step by step calculation.....i found i have gaps here ...i reached till mean but after that stuck..any diagram will help! even i chose the last one and was surprised!!! what is the risk involved with discretionary dependency? analyse the impact.....do a impact analysis as they are CP activities. does the risk register include risk reserve and risk statement? also is there a specific % probability beyond which risk becomes an issue and should be stored in issue log? what is the purpose of influence diagram,.....in which scenarios do we use them. Which PMBOK process use them as a tool ? Can you explain with example? Topic: Not a stk and why? Re: Not a stk and why? Not a stk and why? Which of the following is NOT a stakeholder? While filling the online application is it required that i start mentioning my latest company pm experience first or I have start from 2007 then come to 2015? like in some cases it would not be worth doing perform quantitative analysis because that will take more time and cost more and not worth the efforts as mentioned in Rita. so in that case we can determine to warrant a response in perf qualitative analysis?